My last blog post was over 6 months ago, so I think I’m technically way past due for a new post. In this post I wanted to take a tour through the new functionality in Magento 1.9.1 with regards to sending emails from your store. The first change sounds worrying to me, after years of emails from merchants struggling to get their Magento store to send emails – anything which makes it _harder_ seems like a bad idea to me. However, we’ll look through the changes and see what’s new. The second change sounds really good – I was tinkering on a responsive email extension myself, so it’s pleasing to see it has already become core functionality. I’ll take a look through the template changes, and how they affect your store in the second part of this blog post series. Magento email sending all boils down to the Template class Mage_Core_Model_Email_Template, you can see below the change for queuing has been to introduce a check for an available queue in the template class, and if available to enqueue the message with all of it’s data and return immediately. I’m very pleased to announce the release of version 2 of SMTP Pro. It’s been a long time coming, but my most popular extension should once again be your first choice for custom email integrations. Version 2 is a full rewrite that adds support for all of the latest versions of Magento, an improved admin experience, a better self test and modern coding standards. You can find out more and subscribe for updates over on the SMTP Pro product page, magesmtppro.com. I first released SMTP Pro 5 years ago, when it was purely for connecting to Google Apps accounts to send store email. Since then I have added support for custom SMTP servers, Amazon SES, email logging, self testing and have helped thousands of merchants get their store emails working. SMTP Pro was my first open source project and has been by far the most successful with over 30,000 downloads and dozens of contributors over the years. With nearly 150 reviews on Magento Connect and an average of 4.4/5 stars, it’s the positive, constructive feedback of the community I really enjoy. This update has been long overdue, but I’m very happy to say that SMTP Pro is back, and better than ever. 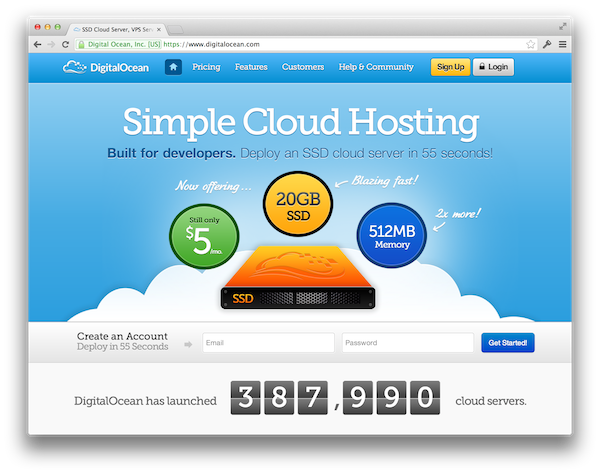 I’d recently seen a few people mention Digital Ocean, and their $5/month SSD-based VPS offering. I read about it, and was interested to know if Magento would run on their plans, and how well. But at the time I couldn’t be bothered actually doing any testing. However, thanks to the wonders of Google’s re-marketing every site I visited on the internet for the next couple of weeks reminded me about them and so I finally decided to throw up a quick test site and run some benchmarks. In this post I’ll run through a quick setup guide using Digital Ocean to run Magento, and then the results of a few simple benchmark tests using my Magento Speed Test service. Introducing MageSend – Simple, reliable email for Magento with Amazon SES. Today I’d like to publicly introduce my first ever premium extension, MageSend – simple, reliable email sending for Magento, tightly integrated with Amazon’s SES email service. I have applied my experiences supporting the popular SMTP Pro extension to remove as many pain points, and streamline the setup as much as possible. I have also taken advantage of the API functionality provided by Amazon SES to give store owners excellent insight into their email sending performance. Over four years ago I released my first ever email extension for Magento, the purpose was super-simple transactional email sending via Google Apps and (later) SMTP for Magento stores. In that time I have been supporting SMTP based email sending, and Google Apps as an email service (or other ESP’s) I have become increasingly frustrated with how brittle it is as a solution. There are several weaknesses with that approach that cause issues. 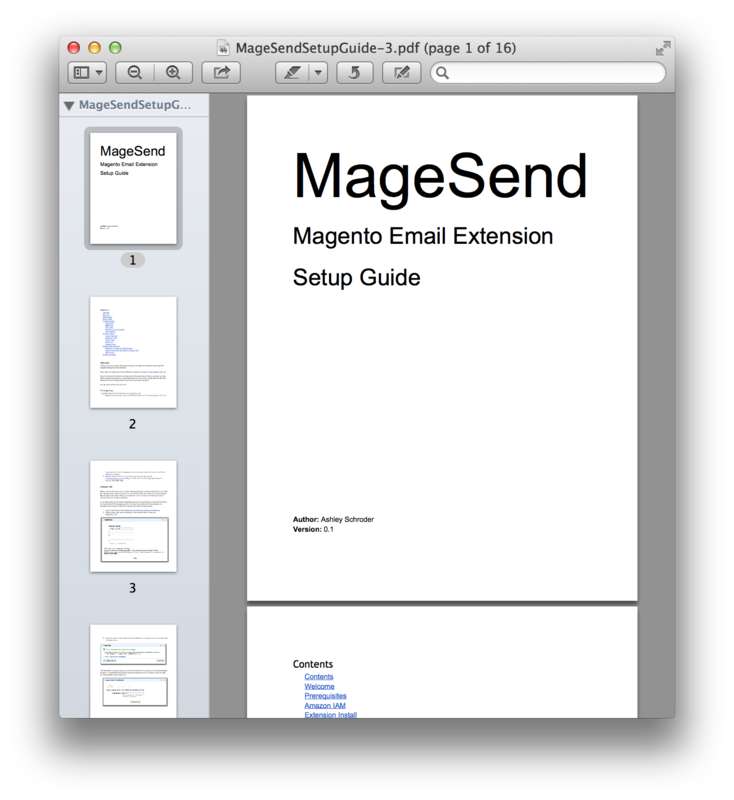 Continue reading Introducing MageSend – Simple, reliable email for Magento with Amazon SES.